Darren and Heather Turner never thought they would have marriage problems. After all, they were supposed to be helping other couples. Darren was a chaplain in the Army and Heather was involved with caring for other wives of soldiers who spend months away from home deployed. Darren was deployed for fifteen months and when he came back he was a changed person. He carried the pain of friends he had lost and post-traumatic stress. There is a new movie called Indivisible (opening October 26th) which tells their story. In it, there are scenes where Heather tries to get Darren to talk about what he is feeling and why he is so distant. Yet, he can’t do it. Every time she tries to make an emotional connection he just shuts down. Does this sound familiar? Do you try really hard to connect with your husband only to have him withdraw or shut down? Are you often left wondering what is going on with him? You aren’t alone. As a husband, and someone who talks to many guys about their feelings, I thought it might be helpful to give you the guy perspective about why we have a hard time opening up. Here are 5 reasons husbands have a difficult time connecting. We know understanding your husband is only part of the problem; reconnection is the next step. 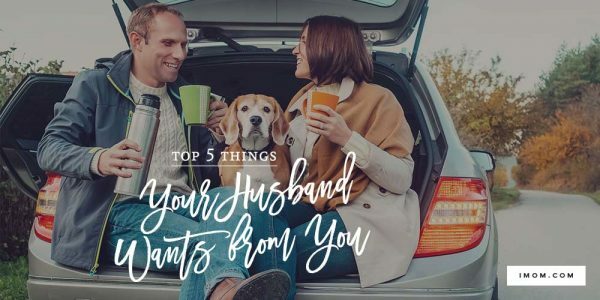 So, we made a printable resource to help you connect better with your husband! It covers marital conflict techniques, a marriage challenge, and ways to pray for your man. Why not try applying some of the suggestions today? 1. It makes us feel ashamed, pressured, and stressed. One of the biggest fears every man deals with is failure. When you share all of the things in life that are hard, you are attempting to be closer. You want us to understand you, empathize with you, and identify with you. We feel the burden to make it alright. At best, in the midst of house problems, car problems, and work problems, your problems become another stressful thing we feel like we have to fix. At worst, we feel ashamed because we feel like we are to blame for your discontent. If I only made more money to provide, if only I didn’t have to work long hours, if only I could communicate better, if only I were different I could make her happy. This is probably why your husband gets mad or short while you are sharing. Advice: Remind him occasionally of your love for him and your life together. Thank him for what he does and the weight he carries for the family. Then you may need to tell him why you are sharing. Tell him that you need your best friend to know how you are feeling because you want him to be closer to you. When you share all of the things in life that are hard, you are attempting to be closer. 2. It makes us feel weak. We are supposed to hold it together. As boys, we grow up wanting to be the hero. The hero has the plan, the answers, the strength, the power, and he certainly doesn’t need help or have it wrong. When we share our emotions we are confronted with the reality that we don’t have it all together. That makes us feel weak. It shouldn’t, but it does. When we share our emotions we are confronted with the reality that we don’t have it all together. That makes us feel weak. It shouldn’t, but it does. Advice: Tell him why you admire him and why you think he is strong. Let him know what it does for your relationship when he shares his feelings with you. 3. We don’t know how. Sometimes when you ask us what we are thinking and feeling and we say, “Nothing,” it’s because we don’t know what we are feeling and thinking. We are not used to dissecting emotions and relational thoughts. We know we are feeling something, perhaps even a lot of things and deeply. But asking us to put words to it is like asking us to solve a calculus problem. Many times we are hurt and don’t even know why and when we attempt to explain it comes out wrong. Sadly, it ends up being easier for us to be silently mad and work through it alone. Advice: Be patient with him. Give him time to explain and don’t react or get defensive. Just try to understand. Help him put words to his emotions. For most of our lives, we have either suppressed our feelings or hidden them. There are very few people who have seen us completely raw, if anyone. Sharing our true selves is a huge risk because you may reject us, or we believe you may not be able to handle it. Advice: If we risk and you react poorly we may retreat back into our shell forever. Show a lot of gentle, loving care. Be interested and let him know how grateful you are that he is sharing. Respect the risk he is taking because it’s big. Women often send messages that are difficult for us to decipher. You say you want a strong man who is confident and able to provide security. Along with that, you want a man who can share his emotions, but not too much; you don’t want a blubbering baby or a man who is overly needy. Since we have been trained to, conditioned to, and perhaps, naturally hold back emotions it is difficult for us to know the healthy medium. It’s much safer and easier to hold them all back. Advice: Encourage him to be himself and love him for who he is, feelings and all. It doesn’t mean you aren’t able to challenge some of the emotions he is feeling but don’t ever encourage him to hold them back. Tell us! Where does your husband struggle with this?